LG has launched a new smartphone in the Indian market, the G7+ ThinQ. The new mobile comes with artificial intelligence (AI) powered rear camera and it comes as the successor of LG G6+. Some of the main highlight of the handset is its AI powered camera and the inclusion of dedicated button for Google Assistance and Google Lens, FullView Super Bright display with a 19.5:9 aspect ratio and a Boombox Speaker along with Hi-Fi Quad DAC to deliver an enhanced audio experience. The new smartphone comes with a price of Rs. 39,990 and the sale will be exclusively through Flipkart starting August 10. 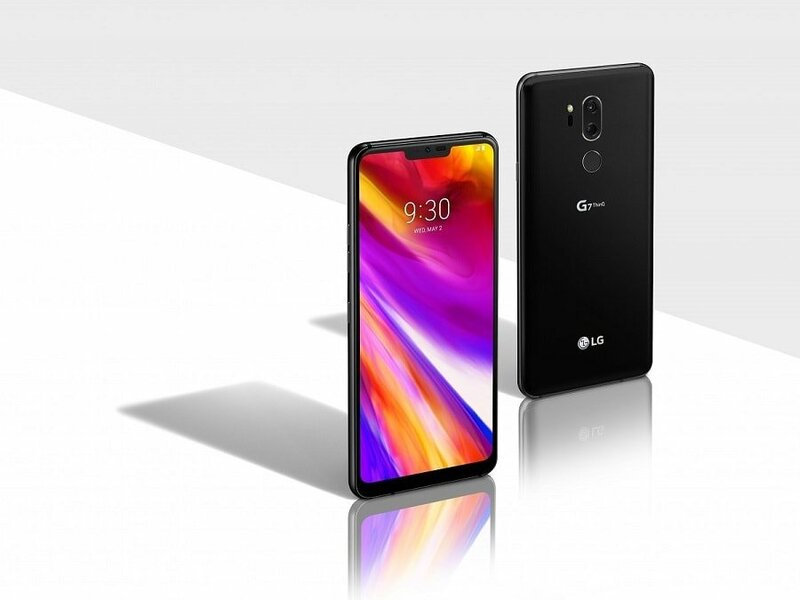 Coming to the specification of the handset, the LG G7+ ThinQ comes with dual-SIM support which accepts Nano SIM card on both the slot and runs Android 8.0 Oreo. The handset features a 6.1-inch QHD+ FullView Super Bright display with a resolution of 1440×3120 pixels and an aspect ratio of 19.5:9. The mobile is powered by a an Octa-core Qualcomm processor with 6GB of RAM. Coming to the storage details, the LG G7+ ThinQ is provided with a 128GB of internal storage that can be expanded up to 2TB via microSD card. Coming to the camera details, as we mentioned above, the rear camera comes with AI support and it features a dual camera setup with a 16-megapixel primary sensor along with an f/1.9 aperture lens that has a field of view of 107 degrees and a 16-megapixel secondary sensor that has an f/1.7 aperture, 71-degree lens. On the front side, the handset has a 8-megapixel sensor at the front along with a wide-angle, f/1.9 aperture lens. Using the AI technology, the mobile brings 19 shooting models and three preset effects for taking selfies. Similarly, the rear camera setup supports Bokeh effect and Live Photo mode. In the case of connectivity, the smartphone supports 4G VoLTE, Wi-Fi 802.11ac, Bluetooth v5.0, GPS/ A-GPS, NFC, USB Type-C, FM radio, and a 3.5mm headphone jack. Sensors on board include a face recognition sensor and a rear-facing fingerprint sensor. The handset is packed with a 3000mAh battery and also has a 7.1-channel DTS:3D Surround Sound support along with a Boombox speaker and Hi-Fi Quad DAC.